Sydney woman Evie Amati has been sentenced to nine years in prison after she attacked strangers with an axe at a convenience store in the early hours of Jan. 7, 2017. 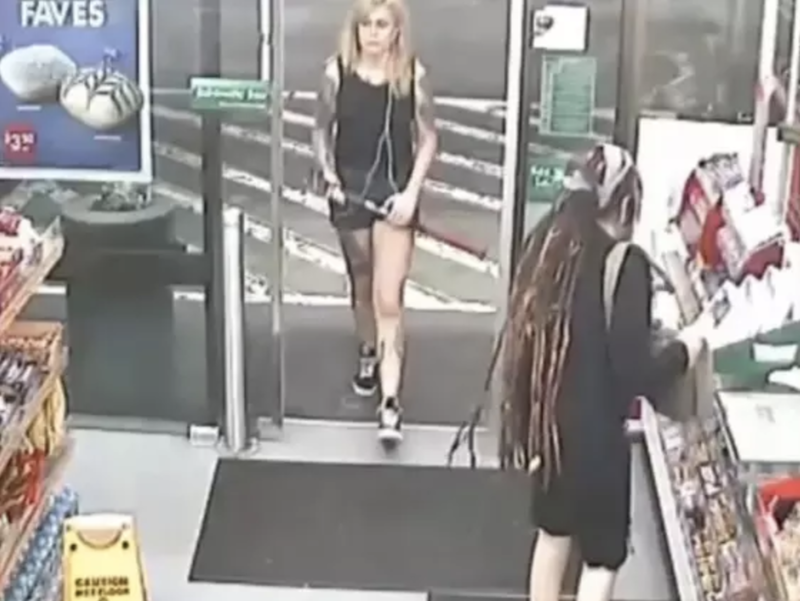 The sentence was handed down on Friday morning in the New South Wales District Court, following a three-week trial in 2018 that focused on whether Amati was mentally ill at the time she launched the attack at a 7-Eleven store in the inner Sydney suburb of Enmore. Amati, 26, was given a non parole period of four years and six months, and will first be eligible for release on July 6, 2021. The blows Amati dealt in the store to customers Ben Rimmer and Sharon Hacker with a 4.5 pound axe caused the pair serious injuries and were captured in graphic CCTV footage released by the court during the trial. A third man, Shane Redwood, narrowly avoided getting hit on the street outside by using his backpack as a shield. All three victims were strangers to Amati. A jury of eight men and four women rejected Amati’s defence of mental illness and found her guilty of three offences in August 2018. She was convicted of wounding Rimmer and causing grievous bodily harm to Hacker with intent to murder them, and of attempting to wound Redwood, also intending to murder him. Amati dabbed away tears at points in the sentencing on Friday morning, but did not react visibly to the nine year sentence handed down by judge Mark Williams. Her mother, father and supporters were in the packed courtroom to hear the sentence, along with Ben Rimmer and supporters.